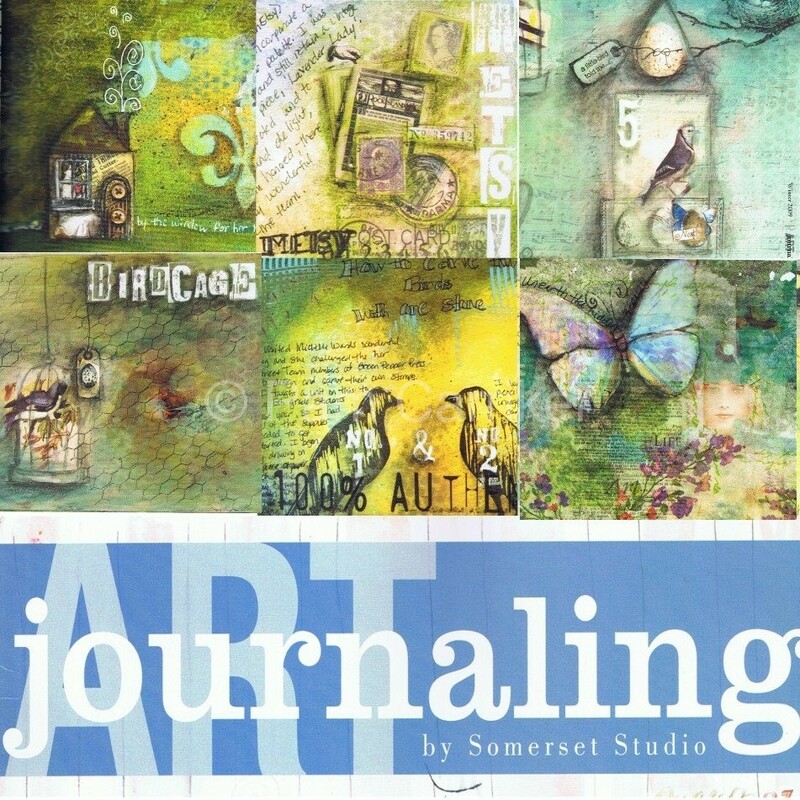 It finally arrived, Somerset’s latest edition of Art Journaling! 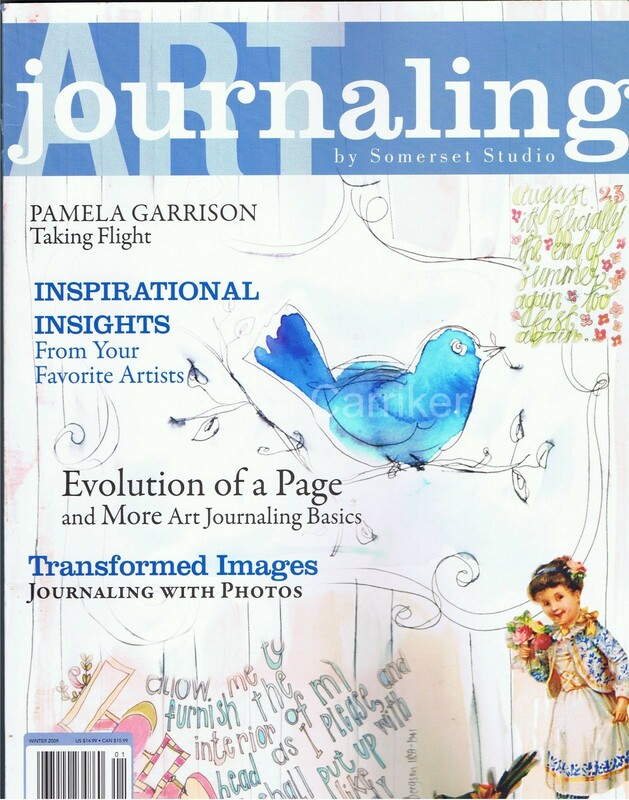 And it’s just as jammed packed with eye candy, techniques and tips as the inaugural issue. I have only done a quick glance through, waiting for some quiet time to digest each article. 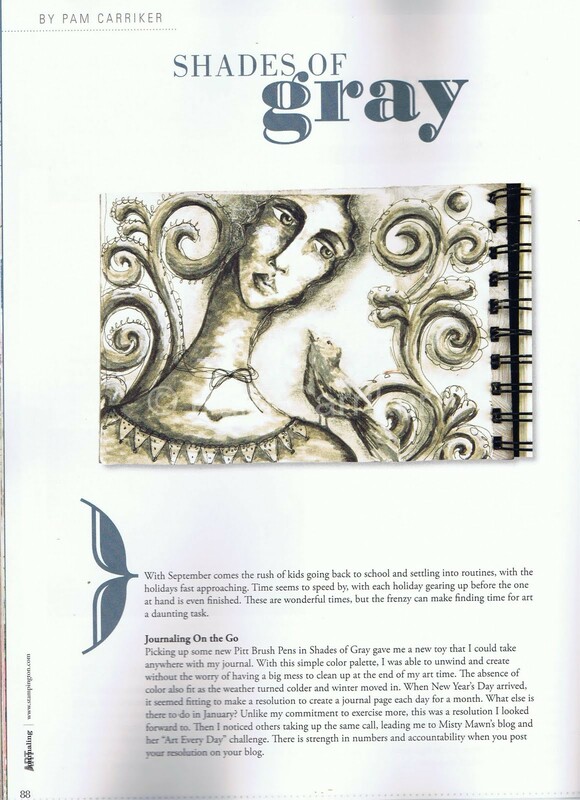 I am very excited to have two articles featured, one on ‘Background Basics’ and the other on my ‘Shades of Gray’ journal. 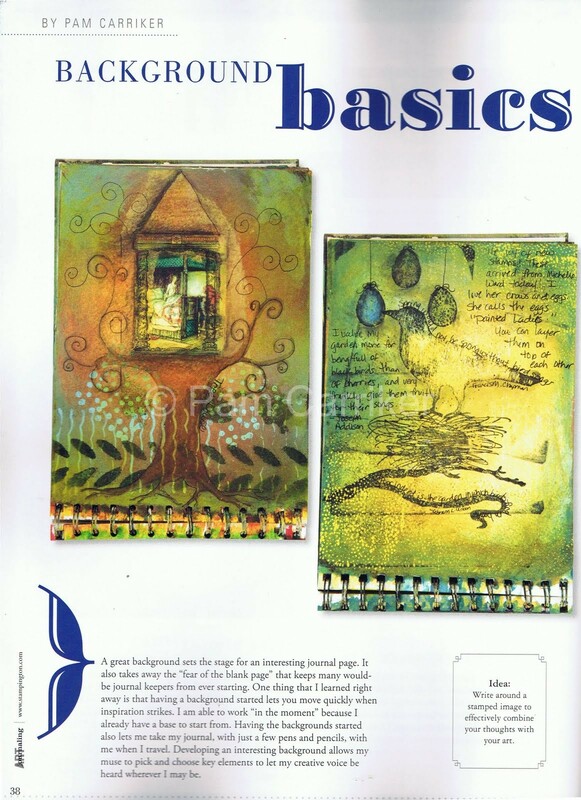 When I think back to the first issue I remember all of the excitement of being asked to share my journals, and during that time starting my online workshops. 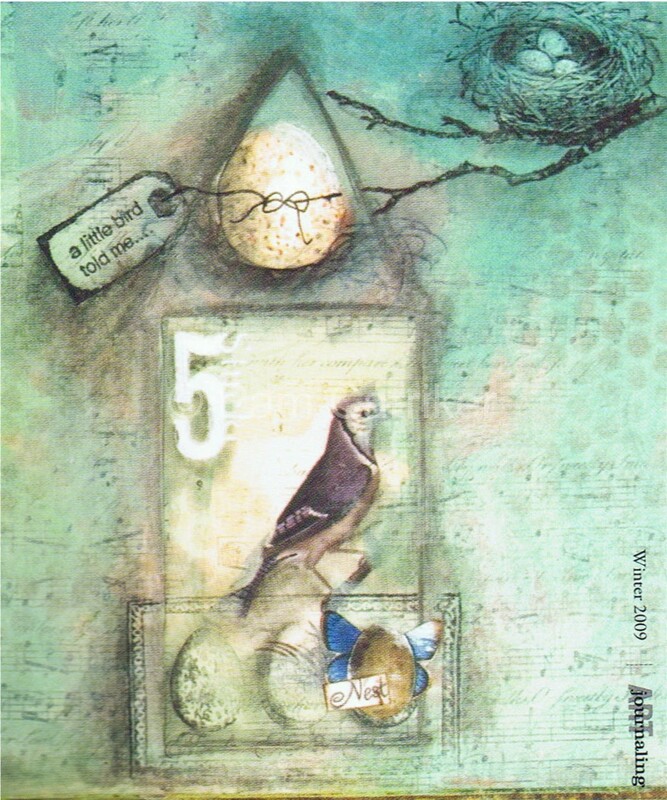 Sharing a personal glimpse into my inner creative being is a little daunting, but the rewards for doing so are numerous. 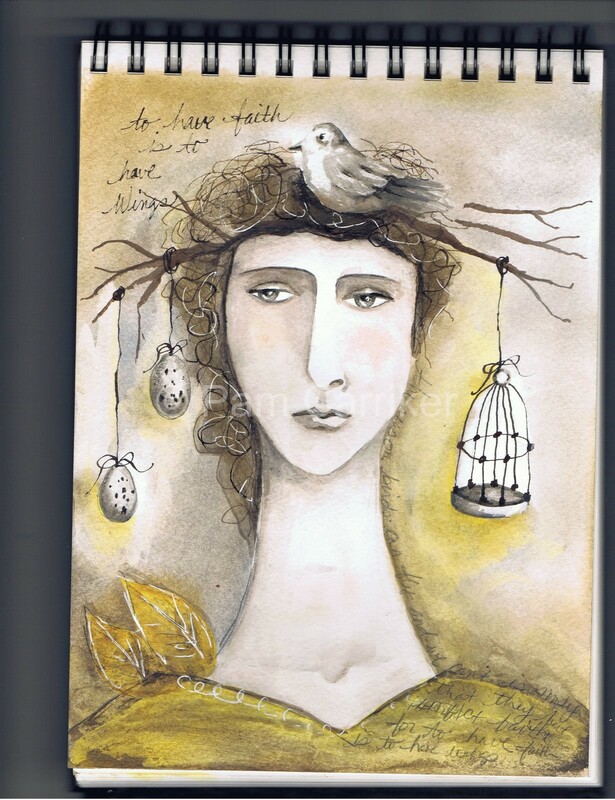 Every time I hear from someone that they are now addicted to journaling it makes my heart smile. This is something to do for yourself. It is art made from the heart for your heart. Being creative purely for the sake of being creative. People don’t have to like it, it isn’t made to be sold, it simply ‘is’. Well, I bought some Copic Markers in shades of warm grays. Love the pens, but have learned a few things. They bled through my moleskines heavy sketch paper terribly. While I was disappointed by that, I did try them in my watercolor journal and they were perfect! the big tips made short work of this page. If anyone has experience with these pens I would love to hear it! 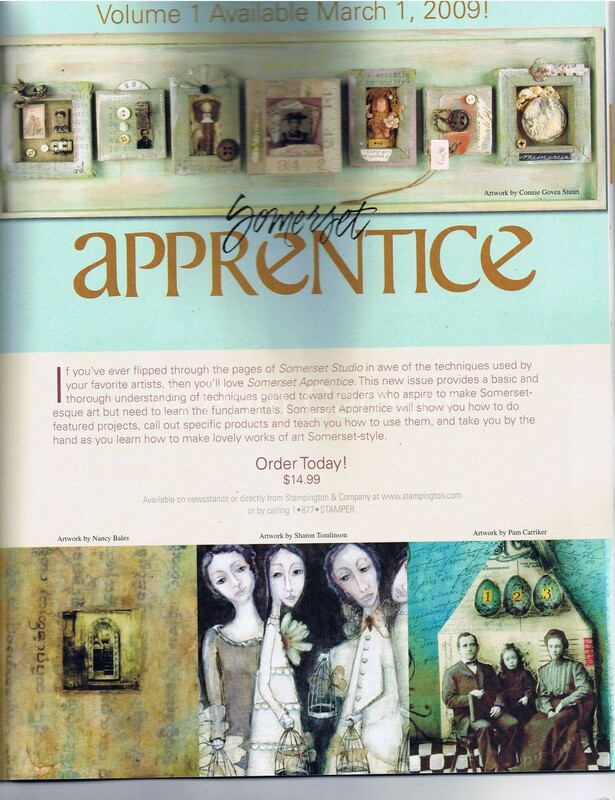 While I did not receive Somerset Apprentice yet, I did get the latest Somerset Studio and Stampers’ Sampler, I was thrilled to see this add appeared in both! 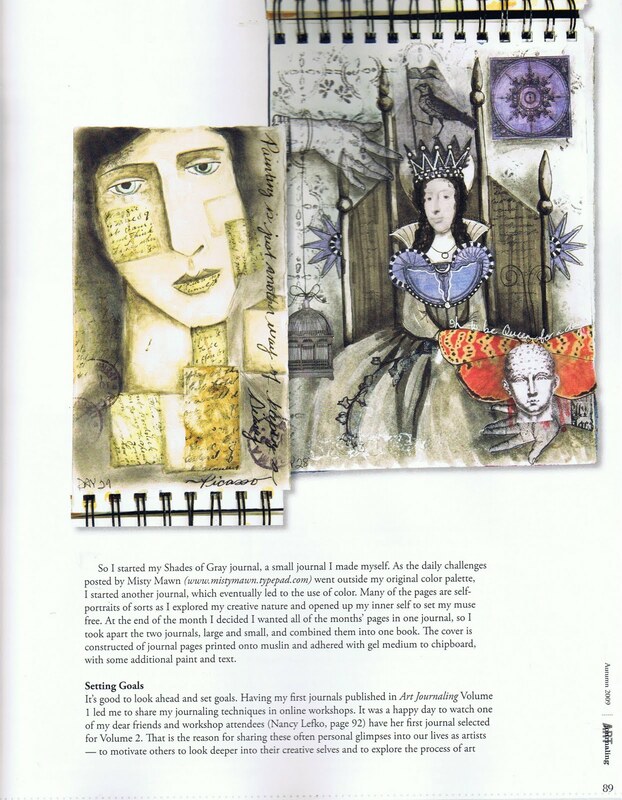 Right next to Sharon Thomlinson’s beautiful work and we all got a little name mention. Maybe my copy will arrive tomorrow…. 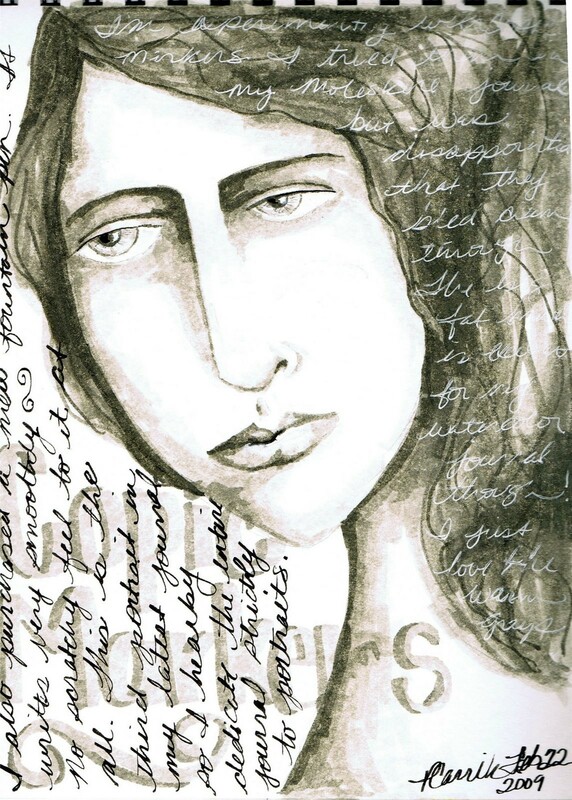 Here are a couple of my latest journal pages. 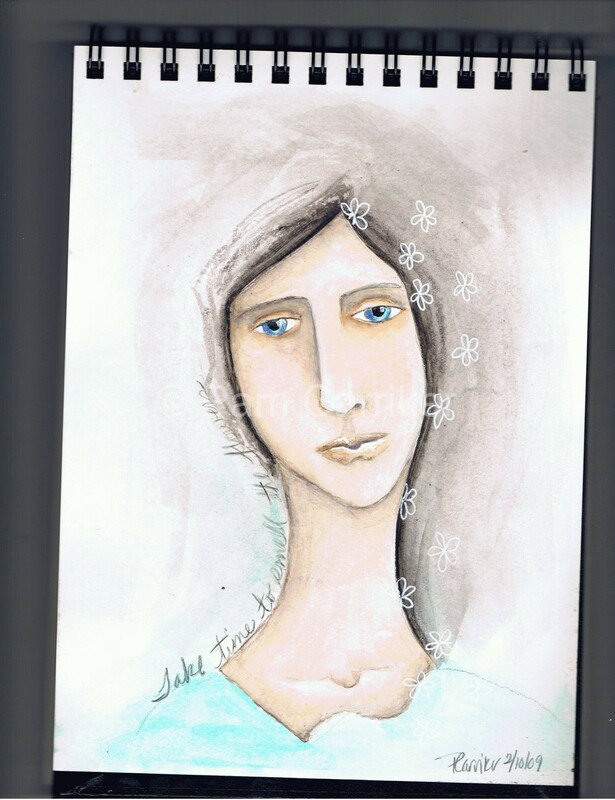 You may recognize the lady on the left from my portrait in progress video. I finished the one on the right today and I like these ladies so much, I just might need to have some prints made to share. 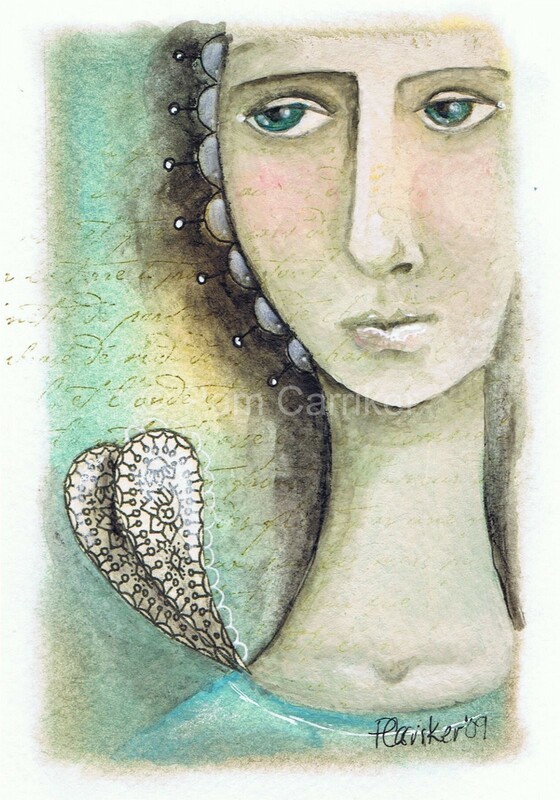 I used acrylics, water soluble crayon, graphite, pitt pens and my trusty white gel pen. A little birdie posted that ‘Apprentice’ (Somerset) has arrived at their house. I’m still waiting for my copy, let me know if you get it!